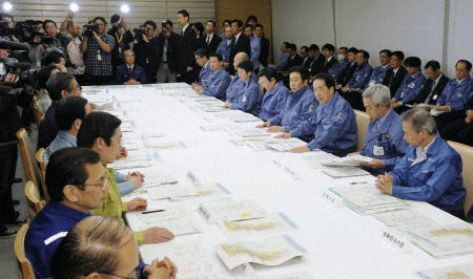 JAPAN, March 31, 2011 (KATAKAMI.COM / RIA NOVOSTI / KYODO NEWS ) — Japan’s troubled Fukushima Daiichi Nuclear Power Plant will most likely be closed down, the Kyodo news agency reported on Thursday, quoting Japanese Prime Minister Naoto Kan.
“We cannot but close this nuclear power plant,” Kan said during a meeting with the leader of the Japanese Communist Party, Shii Kazuo, on Thursday. On Wednesday, Japan’s Chief Cabinet Secretary Yukio Edano suggested that all six reactors at the Fukushima Daiichi plant should be demolished. Tsunehisa Katsumata, the director of the Tokyo Electric Power Co. (TEPCO) which owns the plant, said earlier on Wednesday that it would be reasonable to close down the first four reactors. All six reactors were badly damaged after a powerful earthquake and tsunami struck eastern Japan on March 11. Reactors No. 5 and 6 reactors have been less problematic than the other four and are already in a state of cold shutdown. 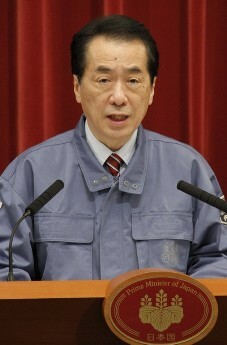 JAPAN, March 29, 2011 (KATAKAMI.COM) — Japanese Prime Minister Naoto Kan says his government is in a “state of maximum alert” over the deepening radiation crisis at the crippled Fukushima nuclear plant, as reported by PRESS TV CHANNEL on Tuesday. 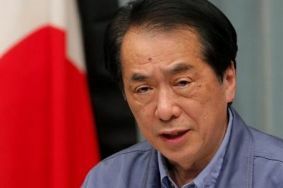 Addressing a lower house budget committee, Kan said that the situation “continues to be unpredictable” and that the government “will tackle the problem while in a state of maximum alert,” AFP reported. Kan’s remarks come as traces of radioactivity from damaged nuclear facilities in Japan have been detected in rainwater in the northeast United States. Ohio reported elevated radiation levels in rainwater on Monday, a day after monitors for the US Environmental Protection Agency (EPA) found similar cases in Massachusetts and Pennsylvania. Experts at Case Western Reserve University in Cleveland, Ohio reported small amounts of Iodine 131 from Japan in precipitation on Monday. “In theory, the Iodine 131 could have come from any radioactive waste processing facility. But we know it’s from Japan. The isotope is being seen worldwide,” said geology professor Gerald Matisoff, who monitors rainwater carried into Lake Erie for the EPA. The EPA has been monitoring radiation from the Fukushima nuclear plant, which was battered in the massive March 11 earthquake and tsunami in northeastern Japan, and had previously detected “very low levels of radioactive material” in the United States. 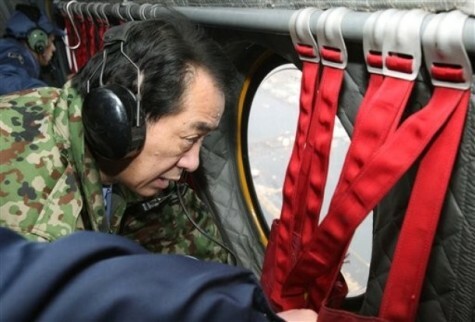 JAPAN, March 15, 2011 (KATAKAMI.COM) — Japan’s Prime Minister Naoto Kan on Tuesday ordered the Self-Defense Forces to focus on relief operations for survivors of Friday’s deadly earthquake that hit northeastern Japan, Kyodo News Agency reported on Tuesday. ”While we will continue with our rescue operations, there are many people at evacuation centers hoping for help so we need to gradually shift our work to addressing (their needs),” Kan said at the outset of a Cabinet-level emergency disaster headquarters meeting held at his office. Bearing in mind that food, water and other necessary supplies are not reaching the survivors, the premier urged SDF troops to assume a central role in transporting these items to the quake-affected areas. 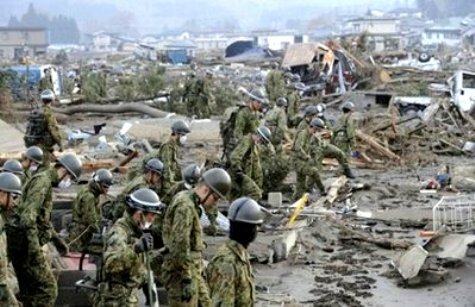 March 11, 2011 (KATAKAMI.COM / KYODO NEWS) — Japan’s Prime Minister Naoto Kan set up emergency headquarters on Friday at his office immediately after a devastating earthquake struck northeastern Japan and decided to send the Self-Defense Forces and other rescue teams as soon as possible to hard-hit areas, Kyodo News reported on Friday. Kan also asked the public to stay calm and keep abreast of the latest information concerning the magnitude 8.8 earthquake that occurred at 2:46 p.m.
Death toll from Japan quake rises to 59, Kyodo News reported. Fire reported at more than 80 locations after quake. 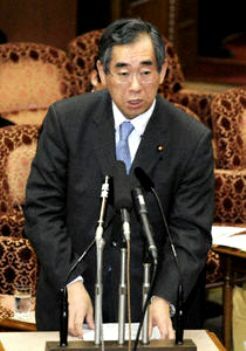 JAPAN, Mar 9, 2011 (KATAKAMI.COM) — Japan’s Prime Minister Naoto Kan decided Tuesday to promote State Foreign Secretary Takeaki Matsumoto to foreign minister following Seiji Maehara’s resignation over a money scandal, sources close to the premier said. As reported by Kyodo News on Wednesday, Matsumoto accepted Kan’s offer of the post Tuesday night, according to the sources. An attestation ceremony for the new minister is scheduled to take place Wednesday afternoon at the Imperial Palace. 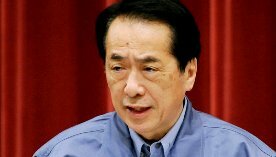 November 17, 2010 (KATAKAMI / RIA NOVOSTI) — Japanese Prime Minister Naoto Kan said on Wednesday that a possible visit to the disputed Kuril Islands, called the Northern Territories by Japan, deserved careful consideration. “Given how important the prime minister’s visit [to the islands] is, it must be considered seriously. At the moment I do not have any concrete plans,” Kan said in a speech to the Japanese parliament. Earlier this month, Russian President Dmitry Medvedev aggravated a long-standing dispute over four of the islands, by becoming the first Russian or Soviet leader to visit one of them. Both countries have laid claims to the islands since they were occupied by the Soviet Union at the end of World War II and the dispute has prevented them from signing a peace treaty to formally end wartime hostilities. 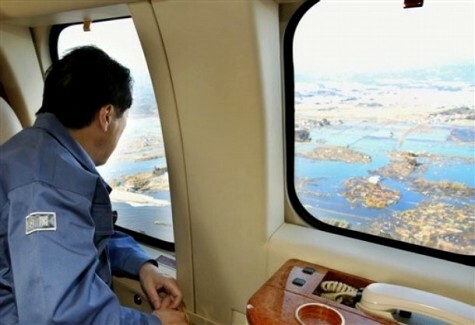 The Japanese premier reiterated Japan’s stance on the status of the islands. 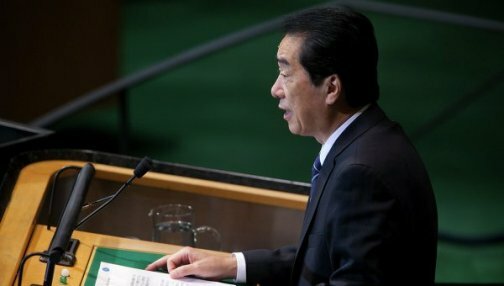 “Japan’s principal position that the Northern Territories are part of our country and that the territorial dispute must be resolved through the signing of a peace treaty, has not changed,” he said.